"It is important that during this time of increased pressure, staff are allowed to get on with their job and are treated with the respect they deserve." The hard hitting campaign started after an increase in the levels of disorder, intimidation and abuse. 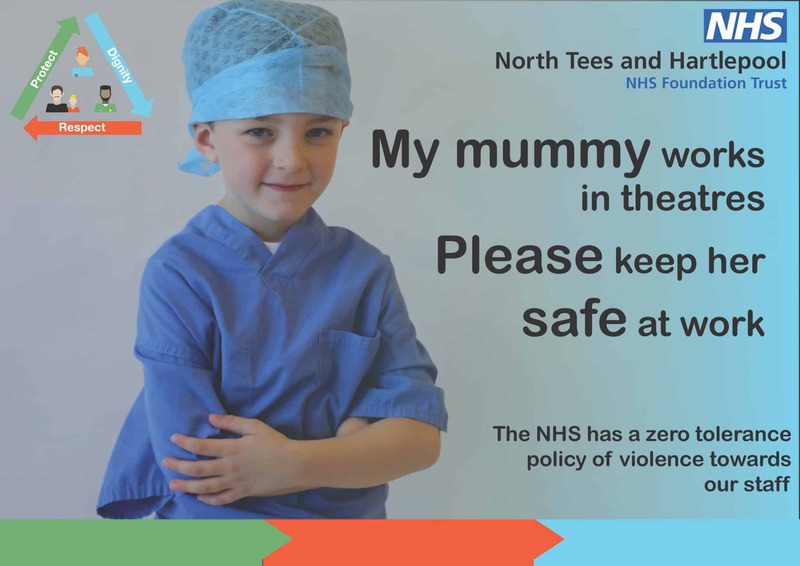 North Tees and Hartlepool NHS Foundation Trust have taken a hard-hitting approach to protect its staff from violence in the workplace. The campaign started after a staff survey revealed that 15% of respondents had experienced violence from patients, relatives and members of the public in the preceeding 12 months. Frontline staff at several North East trusts are anecdotally reporting an increase in the levels of disorder, intimidation and abuse they are facing at work. In October, Matt Hancock the Secretary of State for Health and Social care, announced a national clampdown on violence targets at healthcare workers. NHS Trusts have historically found ‘zero tolerance’ policies difficult to enforce. Julie Gillon, Chief Executive at North Tees and Hartlepool NHS Foundation Trust said: “I am committed to ensuring the safety and wellbeing of all staff who work in our hospitals and community settings. 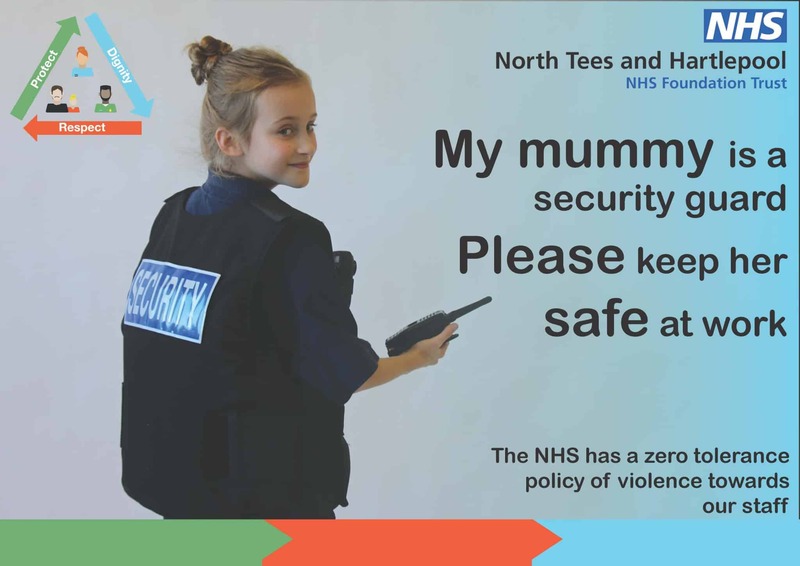 This includes protecting them whilst they deliver care to the people of North Tees and Hartlepool. Kara Pickering, Communications Assistant at the Trust and mum of Oliver who took part in the campaign, added: “Seeing my little boy dressed up in scrubs really sends home the message that there’s a human being behind the uniform, many of whom have their own children at home.